Qualifier tickets for The Angling Bait Club will go on sale no later than the 28th February 2010. This preliminary date may be brought forward if membership capacity is reached in the interim. As expressed on the site, it is hoped that by the management of the club membership numbers, that each person that wishes to enter the competition, will be able to do so. 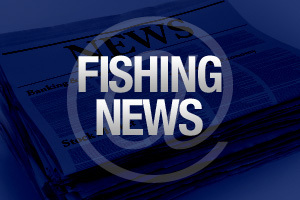 Although specific venues will not be able to be guaranteed to each individual angler, he/she will be able to purchase at least one ticket for the competition. We will not be entering a draw scenario, random or otherwise. Once ticket sales have been completed, ABC Membership will remain open to any Angler wishing to join the Angling Bait Club for the benefits of the 33% discount on baits and other club competitions that will be run throughout 2010. Any angler wishing to fish this competition is strongly advised to allow sufficient time for their membership card to arrive in the post as this number will be required upon registration/purchase of the tickets. The system will not allow non-members to purchase tickets. Each membership card (like any credit card) has a long number on the front. This number (or part thereof) will be required for security reasons. The card will also be required at all Angling Bait Club competitions prior to the draw. No Card – No Draw. Please see on site for comprehensive details. During the next few weeks the remaining venues and dates will be posted on the site. Some venues have not been confirmed due to unforeseen and unpredictable weather conditions and long term forecasts. We now anticipate the first qualifier to be on the 4th April 2010 and not sooner as the company may have liked. The Angling Bait Club is open to any angler and offers a 33% discount on baits and selected products. In addition there will be other competitions open to the members during 2010. These competitions may vary in disciplines and prize money. It is without doubt a club worthy of considertion to any angler looking to save money on their online purchases and the ABC Match will also offer the largest payout of its kind in club match fishing.